It is thought that curry brings on labour and, if you’ll pardon the pun, there are clearly many Labour supporters who like a spicy night out. How else would you explain the existence of Labour Friends of Curry and the multitude of Labour Party fundraising curry nights all over the country? But how many curry nights cost only £10 for three courses? And how many have the added attraction of Ken LIvingstone as guest speaker? 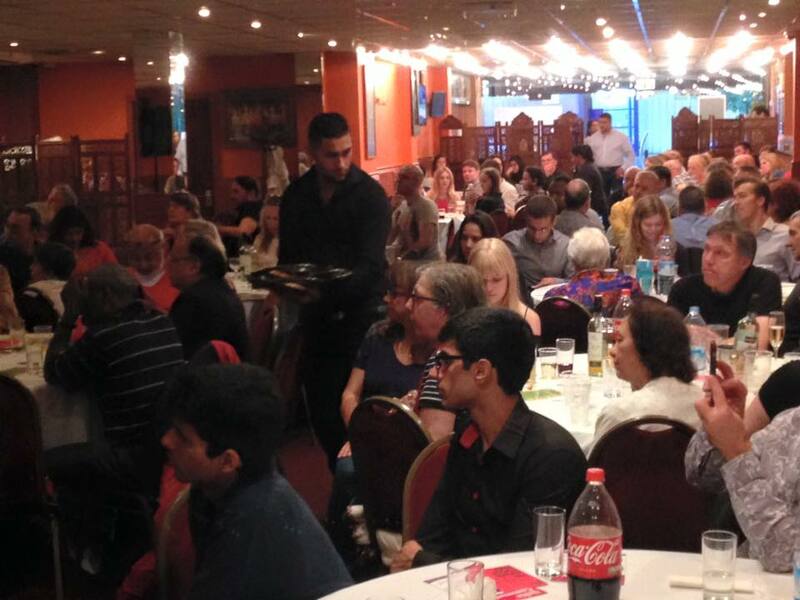 Welcome to Curry for Corbyn, which took place at the Kingway Banqueting Restaurant on Sunday 6 September. The restaurant in Hounslow is probably the most Labour Party-friendly eaterie in west London. Not only is there a picture of the owner, Amrao Singh Atwal, with Tony Blair (!) on the wall, but the owner’s daughter, Harleen, is a Labour councillor in Hounslow. 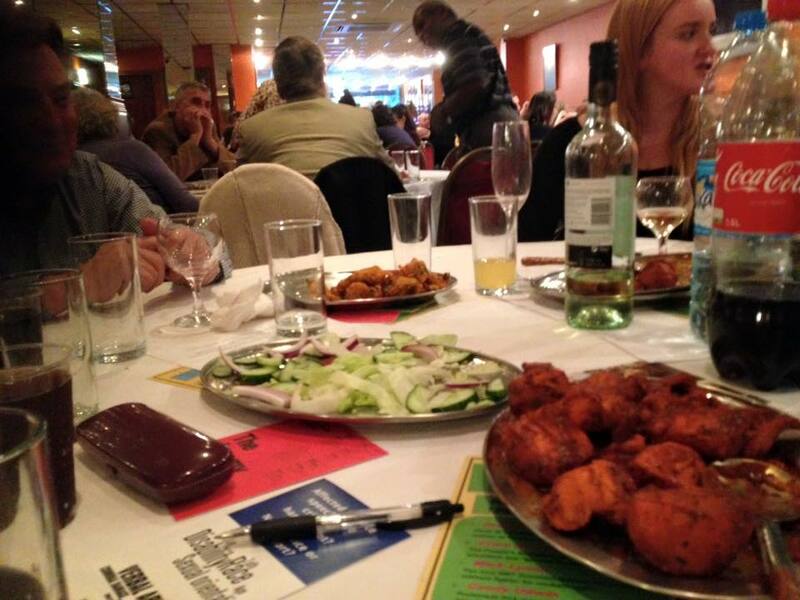 The venue has put on many curry nights or buffets for famished comrades, including a big occasion when former Labour leader Ed Miliband attended. Ed Milband’s appearance saw every seat taken and that was also the case with Curry for Corbyn. As has been happening all over the country since July, the name Jeremy Corbyn is box office dynamite. Even though Corbyn could not appear himself, the guest speaker Ken Livingstone was a great replacement. Ken was happy to chat with fellow diners before the starters arrived and we were all in for a treat as massive trays of salad, samosas, pakoras and chicken tikka were placed on all the tables. Many of the diners were under the impression this was the extent of the food and really got stuck in. But no table managed to finish all the food available to them. The pastry for the samosas was pleasantly crisp and the salad complemented the spicy tikka perfectly. 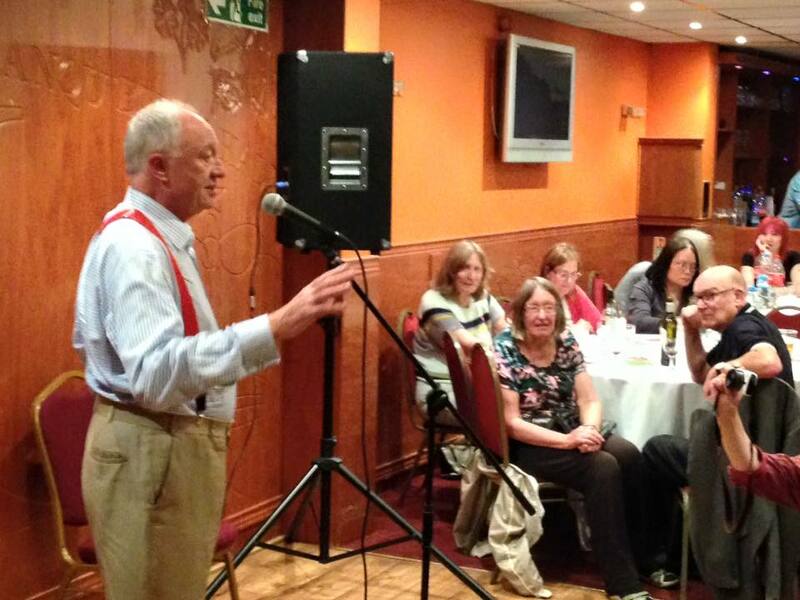 While we digested our food and considered whether it was possible to eat more (perhaps through unbuckling a belt or undoing a button), Ken Livingstone made a speech and took questions from Corbynistas. You can see Livingstone’s speech and the questions here. Livingstone spoke with authority about Corbyn’s economic strategy and how it had already been adopted in other countries, like Germany, where investment in manufacturing and infrastructure had paid dividends. These policies were not ultra-left, but sensible ways to increase productivity, produce jobs, build houses and schools. Livingstone was talking as though Corbyn was Labour leader and already leading the opposition to the Conservatives and coming up with alternative policies. This put a spring in the step of everyone in the room and, three-quarters of an hour later, we were all ready for the main course. This was a buffet affair. With butter chicken, lamb Jafrezi and veggie-friendly paneer, plus rice, naan, raita and kheer or ice cream for dessert, there was a long line of Corbynites queuing, chatting happily and filling up their plates. I had the jalfrezi and the sauce was not as hot as I anticipated. This was probably a good thing as I was required to go up and introduce guest speaker John Moloney from Slough Labour Party (and the PCS union). John outlined the implications of the Conservative government’s proposals for trade union reform and how important it was that we put up resistance to what is an infringement of basic human rights. John was followed by Dr Jacky Davis, a well known NHS campaigner, who confessed that she had not voted Labour since 1997. She had fallen out with the party over the sale of the NHS through PFI and told us that she trusted Corbyn with the NHS in a way that she didn’t trust any of the other candidates. The night ended with the customary Labour Party raffle and an auction for two tickets to The Jeremy Corbyn Night, which will be held two days after the result of the leadership election is known. Corbynistas attending included Labour members from as far as Wiltshire, Dorking and the other side of London. The curry lovers ranged from teenagers to octogenarians and it had the atmosphere of a large family gathering. It was the second Jeremy Corbyn event I had attended this summer and, on both occasions, I have experienced an atmosphere of optimism and bonhomie. It certainly raised the spirit of all who attended and I hope that Corbyn will become leader on Saturday so I can plan the next Curry for Corbyn. This entry was posted in Uncategorized on September 8, 2015 by crispinflintoff1. This event was indicative of the campaign. Designed to bring loads of people together, accessible and friendly. No £100 meals. Good speakers and nice people. Fantastic read. 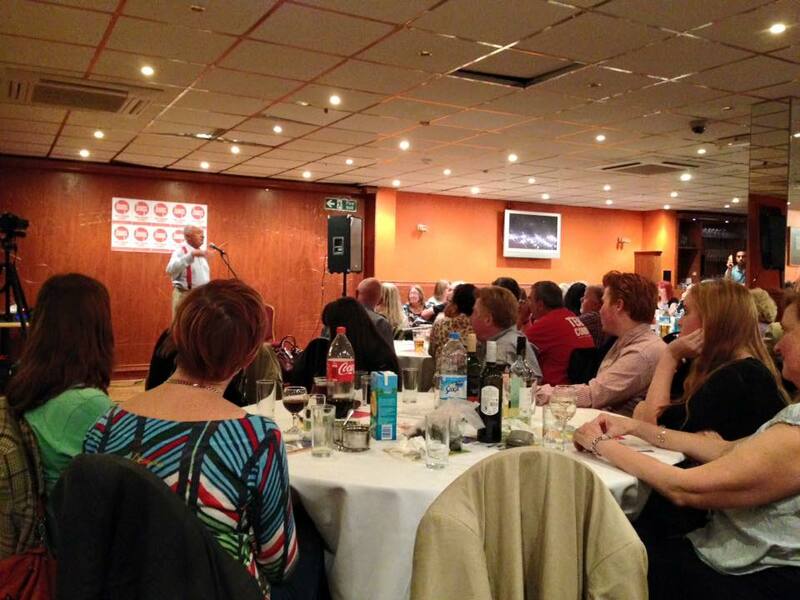 I will do my best to be at the next curry for corbyn night. Have missed a good event!